After 22 months of painstaking inquiry, the investigation headed by special counsel Robert Mueller is finally over. 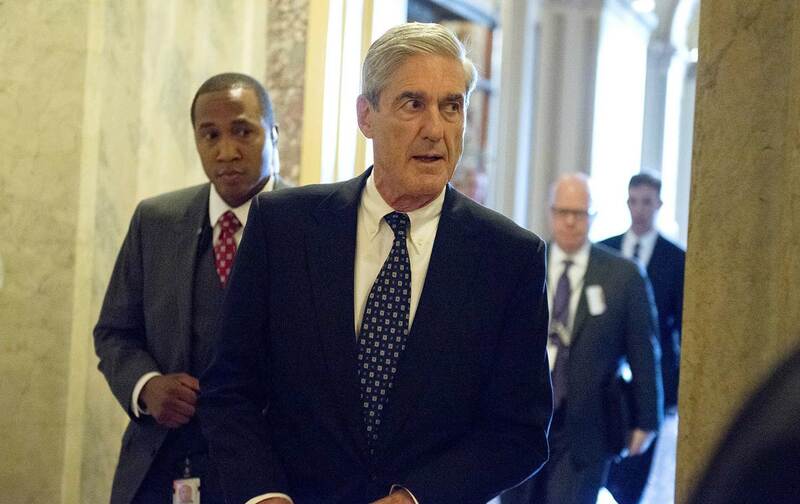 The key finding was instant headline news on the day that it was announced: Mueller found no evidence that Donald Trump or his subordinates conspired with the Russian government to steal the 2016 election. Critics of the president should not try to relitigate that aspect of Mueller’s findings or imagine that he somehow missed or misinterpreted details about Russian interference. Neither Congress nor the rest of us should accept Barr’s rushed and unwarranted conclusion that Trump did not commit obstruction; it is not for the attorney general but rather the American people, through their elected officials in Congress, to decide such weighty questions about the highest office in the land. For this and other reasons, Congress must insist on a speedy release of the full Mueller report. Mueller’s conclusions—as well as the indictments and convictions resulting from his inquiry—should spur both Democrats and the media to focus on the full scope of Trump’s misrule and the predators’ ball that he hosts in the nation’s capital. The special counsel’s investigation has exposed the ugly intersection of presidential campaigns, campaign-finance laws, and lobbying. Congressional Democrats should rigorously address the existing laws and regulations regarding these issues, as well as the vulnerabilities of a US election system that is neither coherent nor secure from malign interference, foreign or domestic. Congress should continue to pursue all avenues opened up by Mueller’s team. Those highlighted in the recent congressional testimony by former Trump attorney Michael Cohen, for example, implicated the president and the Trump Organization in various crimes, from campaign-finance felonies to tax fraud, bank fraud, insurance fraud, and money laundering. An obsessive focus by many in the media, and some in Congress, on the claim that Trump conspired with Russia has often obscured these other avenues of inquiry. Indeed, while we’re on the subject of accountability, we should insist on more of it from the journalists and pundits who, while understandably alarmed at Trump’s ethical violations and destructive policies, have often been too quick to accept rumor and unfounded allegation as fact in the Russiagate saga. Mueller’s key findings should tamp down the fervor for impeachment. That question cannot be settled definitively until Congress examines his report. But even if Democratic leaders in the House decide there is strong evidence that the president committed obstruction, they must weigh that against the limited time available to pursue articles of impeachment, not to mention the near-certainty of failure for such an effort in the GOP-dominated Senate. It seems increasingly clear that the way we will rid ourselves of Trump is by defeating him at the ballot box in 2020. That requires both exposing his administration’s corruption and, even more important, laying out a bold alternative that will inspire the American people. Democrats are already debating parts of such a program; it includes a democracy-reform bill that Republicans are now blocking in the Senate, and the proposal for a Green New Deal co-sponsored by Representative Alexandria Ocasio-Cortez and Senator Edward Markey. The Mueller inquiry does not “take the president down,” as some of its most over-the-top advocates had hoped. Nor does it exonerate him. What it should do is inspire us to get more serious, more engaged, and more focused on the genuine evidence of presidential wrongdoing that is already at hand—and to offer progressive ideas that will define the 2020 campaign and take back the White House.